July 31, 2018 -- General Electric is seeking a buyer for key parts of its digital business as the beleaguered industrial conglomerate unwinds a signature initiative of former Chief Executive Jeff Immelt amid a broader retrenchment. 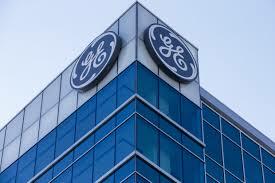 The Boston-based company has hired an investment bank to run an auction for the operations, which GE has poured billions of dollars into, according to people familiar with the matter. It isn’t clear what exactly is for sale and how much a deal could generate. While the process is at an early stage, possible buyers include software companies and other industrial players seeking to become more digital-focused, one of the people said. GE Digital, a much-touted software unit headquartered in San Ramon, Calif., was key to the strategy of Mr. Immelt, who left last summer. As part of an effort to reorient itself away from financial and media assets and bolster a sluggish stock price, the company built a software platform called Predix that aimed to help industrial customers like utilities and airlines gather and analyze data to better manage their equipment and wring out greater efficiencies. GE Digital was established as a standalone unit in 2015 to distinguish it from the company's industrial divisions. In the fall of 2016, GE paid $915 million to acquire ServiceMax, a Pleasanton, Calif., company that makes apps for inventory management and workforce scheduling. Executives predicted at the time that GE would hit $15 billion in software sales by 2020 with half of that coming from providing Predix applications to the electricity industry. GE said the business had revenue of $4 billion last year, up 12% from 2016. Not all of that would go to a buyer as the company is expected to continue providing software and services to its aviation and power customers. GE's digital push included ramping up research spending and hiring thousands of programmers to develop software for the massive machinery it sells. In 2016, the company spent more than $4 billion developing tools like analytics and machine-learning software. The effort was also at the heart of the company's advertising, which touted GE as a driver of a new "digital industrial" age. But GE has since embarked on a companywide restructuring, sparked by a precipitous decline in its shares last year that hasn't let up in 2018, and now plans to focus on units that make jet engines and power turbines. GE said in June it would spin off its health-care division and sell its ownership stake in oil-services company Baker Hughes. The two businesses, coupled with a railroad unit that is being sold, accounted for a third of GE's $122 billion in revenue last year. GE has said its yearlong portfolio review is complete and it is essentially done with plans to sell $20 billion in assets. Under Mr.Immelt's replacement, John Flannery, the company has scaled backed the mission for GE Digital. The company has cut jobs in the division and said it planned to focus on software for its existing customers and core businesses, rather than creating services for other customers in other industries. Mr. Flannery recently said he wanted GE Digital to break even by 2020. Other industrial companies like Siemens AG, along with smaller firms, are using software to help customers get more life out of heavy machinery -- while avoiding unplanned outages -- by using complex data and models to predict how the equipment will perform.